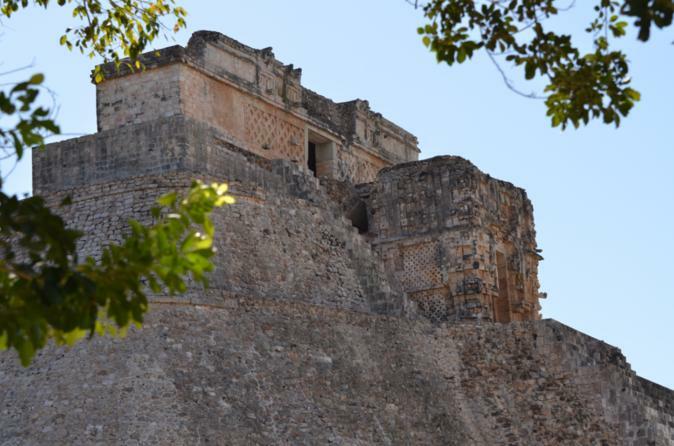 Uncover the mysteries of the Yucatan as you explore two significant archeological sites with a local guide – Kabah and the UNESCO World Heritage-listed Uxmal. Learn about the Puuc architectural styles of the ancient Maya at spectacular pyramids and buildings such as the Pyramid of the Magician, the Governor's Palace, the Palace of Chaac Masks and the Arch of Kabah. Stop by Hacienda Uxmal Hotel for lunch and some free time at the swimming pool before return transport to Merida! Enjoy personal attention on this small-group tour, limited to 25 people. Get a true taste of Yucatecan cuisine and meet the local people of Merida as you shop at the market for fresh ingredients and prepare several tasty dishes. Your half-day culinary tour includes a cooking class at the home of a local host with the assistance of your knowledgeable guide. 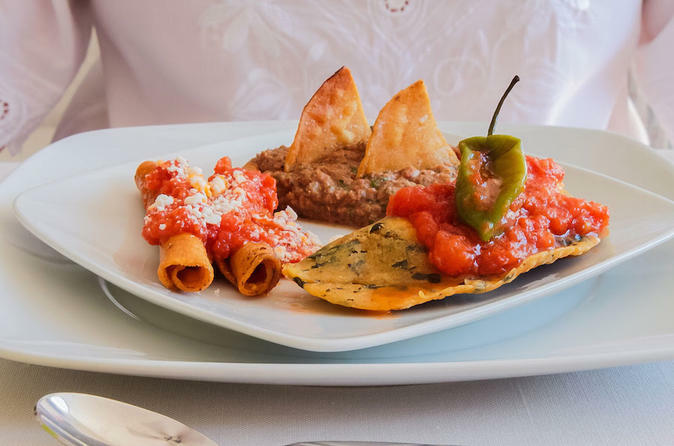 Learn about various culinary traditions of Mexico and enjoy the light lunch you’ve prepared! Numbers are limited to 12 people, ensuring an intimate experience with a small group of like-minded food lovers. 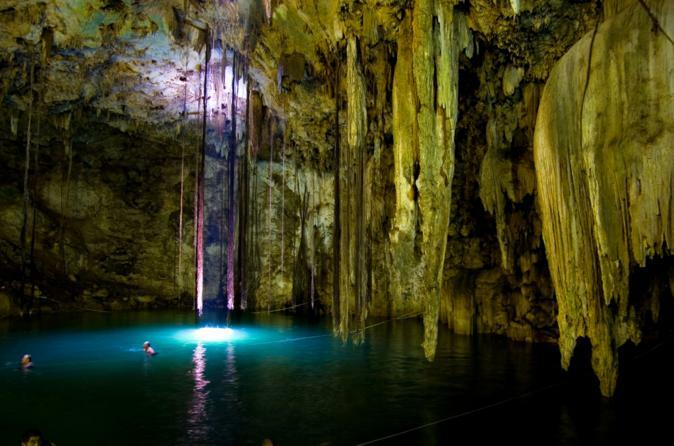 Dive into the clear waters of three Cuzama cenotes on this day trip by minivan from Merida. Stop en route at the Mayan site of Acanceh to view the excavated pyramid before visiting a rare Gothic-style church and an old hacienda. A rail-mounted horse-drawn truck takes you to the caverns, where you’ll descend on foot for a refreshing dip in the pools! This activity has a medium to high difficulty level, and lifejackets are available for rental. Enjoy personal attention on this small-group tour, limited to 25 people. 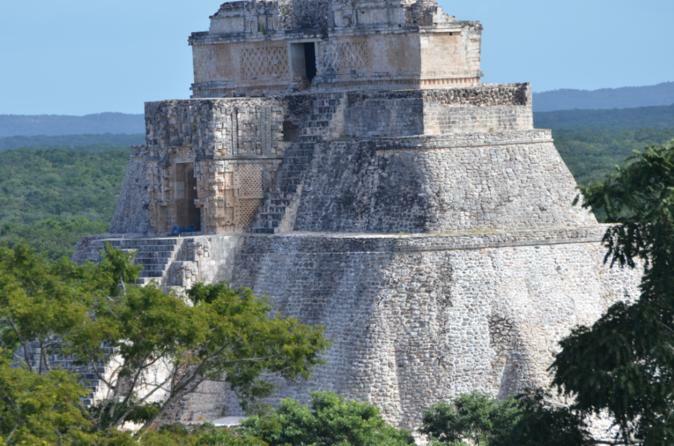 Enjoy an early access tour to two main archaeological sites in the Yucatan Peninsula: Uxmal and Kabah. Accompanied by a professional guide, you'll tour these places and discover all about the richness of the Maya civilization. As you get there early, you'll enjoy the tranquility of the places without the crowds, making this a not-to-be-missed experience. Your tour includes transportation and lunch. Live a complete Mayan experience on this two day tour. On the first day, you will explore Chichen Itza with a professional guide and enjoy the tranquility of your morning visit before the crowds. 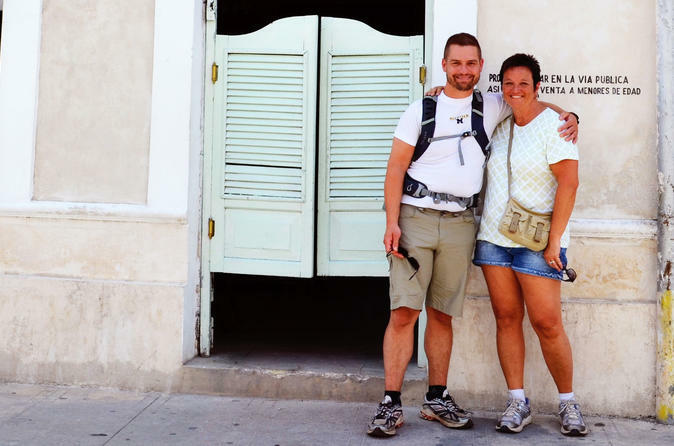 On day 2, you will head to Uxmal and Kabah, see the temples and learn about the Maya civilization. This is the ultimate tour to learn all about the Maya culture while having an unforgettable time. 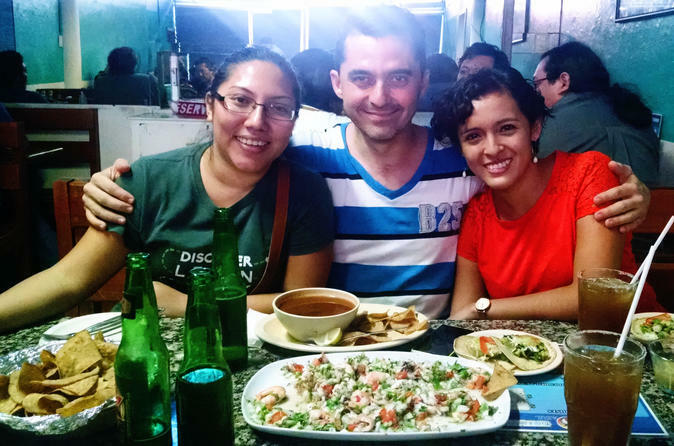 This street food tour is perfect for you if you are not in the mood for cooking but still want to learn about Mexican and Yucatecan food. Try local dishes without the cooking experience by visiting the food area of the main market of Merida, a seafood restaurant and a delicious gelato store. 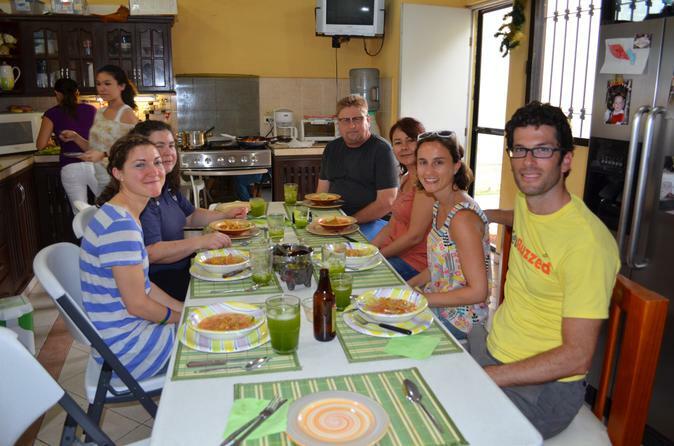 On this tour, you can try some fruits, juices, cochinita pibil, tamales, panuchos, empanadas and seafood to truly get to know about the most amount of dishes you can in a short period of time. 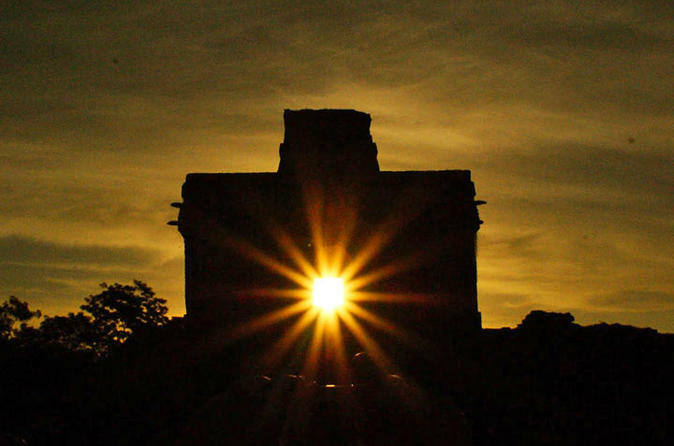 Experience the wonders of the ancient Maya by both day and night on an Uxmal sound and light tour from Merida. 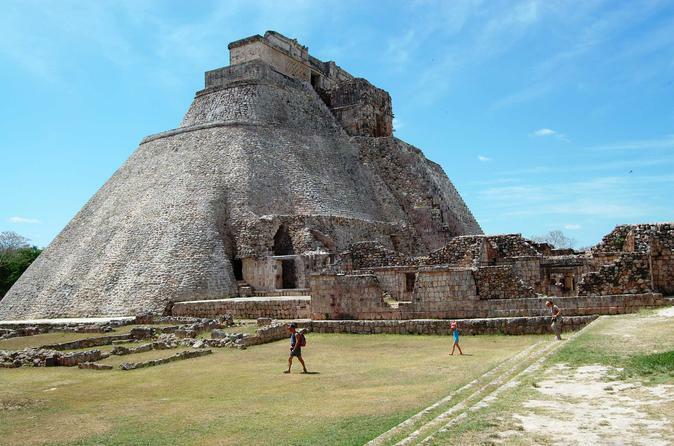 Take a guided tour of the Nunnery Quadrangle, Pyramid of the Magician and Governor's Palace at Uxmal, a UNESCO World Heritage Site, and learn about the Puuc architecture of the ancient Maya. Then see the sites floodlit at night during one of the world’s most acclaimed and spectacular light and sound shows. With all entrance fees included, enjoy personal attention on this small-group tour, limited to 25 people. Discover the architectural marvel of Uxmal, one of the largest and most significant of the ancient Mayan cities on the Yucatan Peninsula! This overnight trip from Merida takes you on a guided tour of the UNESCO World Heritage Site – including the Pyramid of the Magician and Governor's Palace – set amid rolling hills and steeped in mystery. 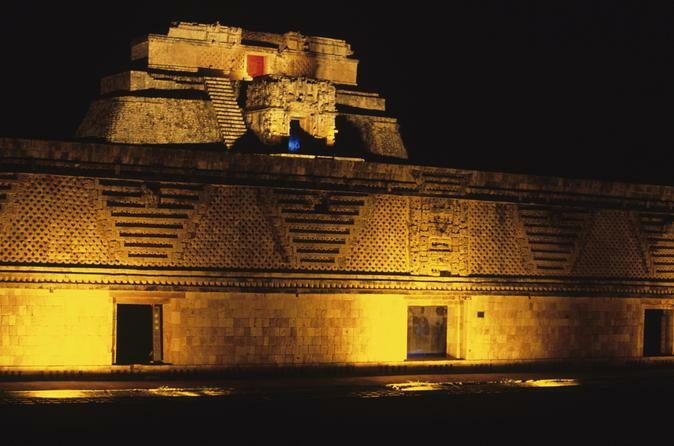 Be amazed by the evening Uxmal light and sound show from the Nunnery Quadrangle, plus an optional tour of nearby Kabah. Enjoy personal attention on this small-group tour, limited to 25 people. 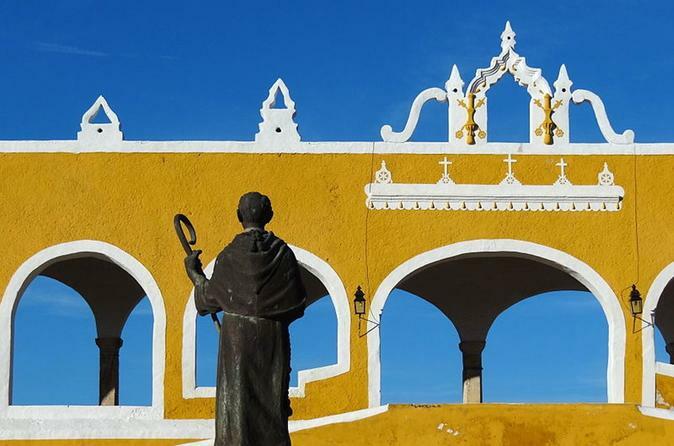 Discover the traditions of Izamal, one of Mexico's Pueblos Magicos (Magic Towns) and a center of religious pilgrimage in the Yucatan. Visit the spacious atrium of a convent on a walking tour with your guide, ride a horse-drawn carriage through the cobblestone streets, and climb the pyramids of El Conejo and Kinich Kakmó. A traditional Yucatecan lunch and round-trip transport from Merida hotels are included. 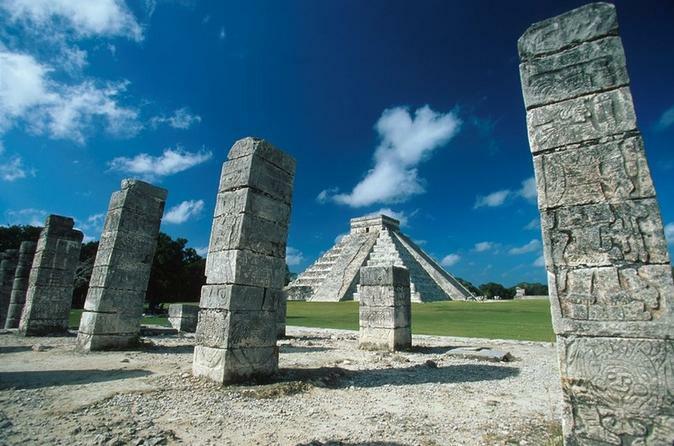 Enjoy a wonderful early access tour to Chichen Itza from Merida. Upon arrival at the archaeological site, you'll truly enjoy the tranquility of your visit before the crowds. 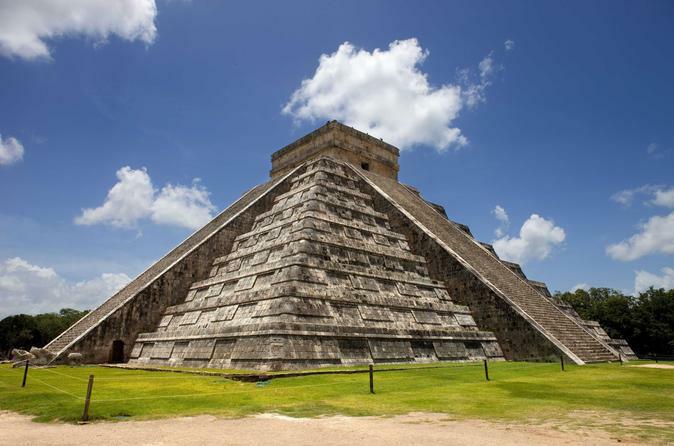 Accompanied by a knowledgeable and professional guide, you will learn essential background about this place so you better understand the history of Chichen Itza. Your tour includes transport and lunch. While in port in Progreso, explore the Yucatan on a shore excursion to colonial Merida and the ancient Mayan city of Dzibilchaltun. See the lovely mansions and churches of Merida’s Paseo de Montejo and gain entry to the Gran Museo del Mundo Maya (The Grand Mayan World Museum). 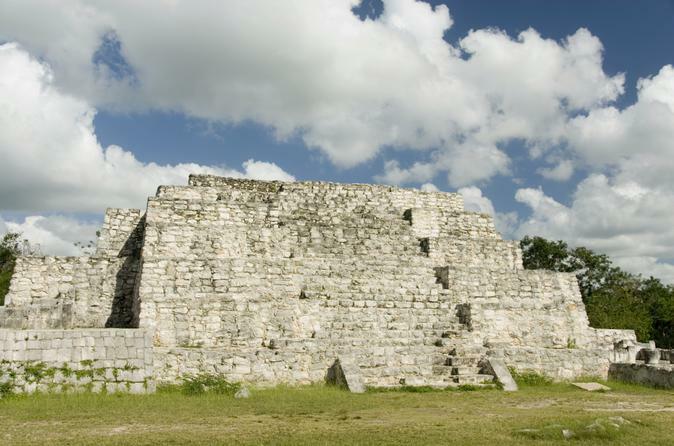 Then visit the nearby archaeological site and learn about excavations at the Temple of the Seven Dolls. Stop for a swim at the Xlacah Cenote before return transport by Mercedes minivan. Receive personal attention on this small-group tour, limited to 16 people. 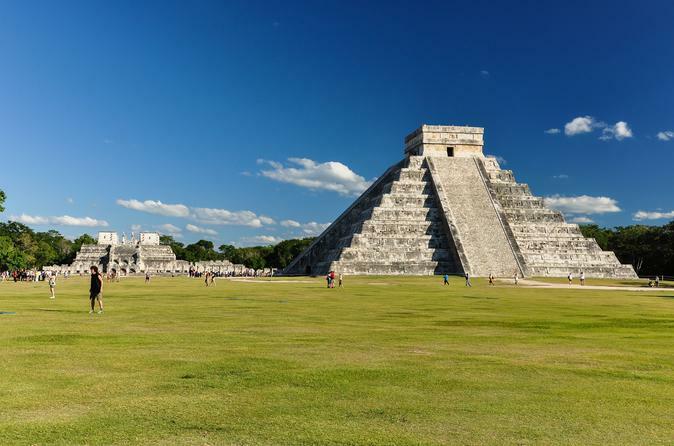 Explore the world famous archaeological site of Chichen Itza and enjoy a lovely afternoon sightseeing at the colonial city of Merida in two days. Plus, you will have the opportunity to choose between a visit to Uxmal and Kabah ruins during the day or watching the beautiful Uxmal Light and Sound Show at night. 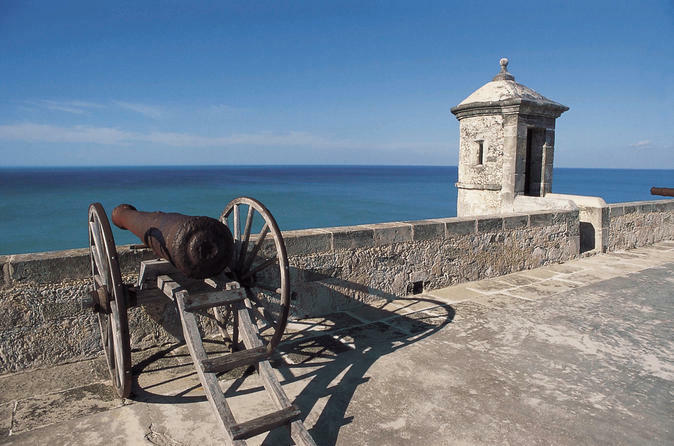 Enjoy a day trip to see Dzibilchaltun and Progreso Port from Merida. Dzibilchaltun is known as the place of "writing on stone“ and it's located 15 kilometers northeast of Merida. You will visit both places as well as a museum and learn more about the Maya culture. Your tour includes transport and a professional guide. The cantinas in Merida are very fun and traditional establishments where Meridans go to have some drinks while having some "botanas" (snacks) and listening to popular music in a very friendly environment. Get to experience this atmosphere on this walking tour where everybody is friends with everybody. Step inside the kitchen with Sofia for an authentic, hands-on cooking lesson of Yucatecan and Mayan delicacies. Sofia will teach you to prepare traditional recipes from scratch so be prepared to get your hands dirty. You will learn to prepare the entire meal as well as a fiery habanero salsa. Enjoy the delicious meal you helped prepare with your host. Discover the folklore and history of Campeche on a trip through the village of Becal, famous for production of popular Panama hats and the historic area of Campeche, once scenario of glorious battles. Your tour includes transport and a professional guide.